The Hotel Casa Valdese Roma is a hotel in the Prati district of Rome, near the Vatican and St. Peter's Basilica, of which there is a splendid view from a large terrace on the fifth floor. In the beautiful setting of Prati, the Hotel Casa Valdese Roma has single, double, triple and quadruple rooms, suitable for single travellers, families, couples and groups. The hotel is housed in a nineteenth-century building with a panoramic terrace donated in 1987 to the Waldensian Community of the Renania Evangelical Church, which restructured it and turned it into a hotel. 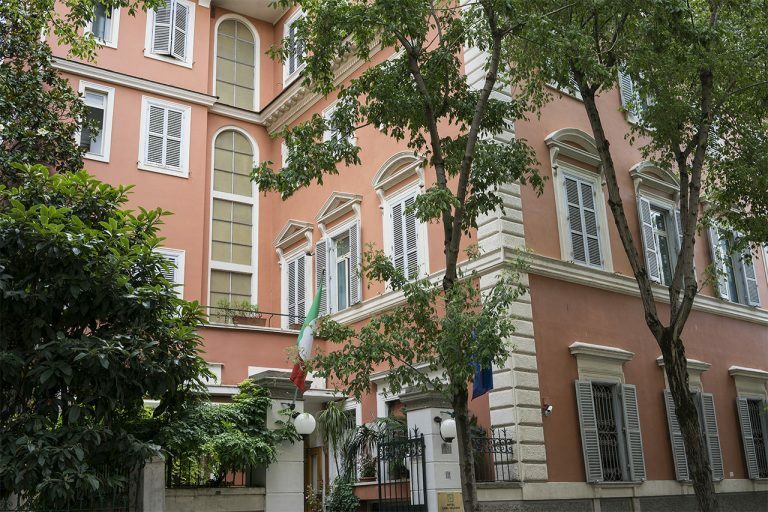 The hotel profits, over the years, have financed the Waldensian Faculty of Theology in Rome. Since 2013, the hotel has been managed by the Waldensian Deaconry. 33 modernly furnished rooms with private facilities, air conditioning, satellite TV and free Wi-Fi. Hotel in Rome, Prati district, a stone's throw from the Vatican Museums and St. Peter's Basilica, well connected to the Termini train station. Wheelchair accessible, with restaurant, panoramic terrace, multimedia room, meeting room and elevator. The Hotel Casa Valdese Roma contributes its resources to the Waldensian Diacony, which runs social and welfare services for the elderly, minors, refugee immigrants and the disabled. A warm welcome, help with luggage, and a delightful quiet room overlooking the terrace and street below. This is a safe area where we could walk the streets, eat in non-touristy small restaurants and sidewalk cafes, and enjoy restful nights. The breakfast room is superbly equipped, with amazing fresh pastries. Totally charming! Truly memorable and worth revisiting!! Love the proximate location to so many landmarks by foot. Great staff, especially Stephano. Very patient with our endless questions about the area. We loved the "unique" candy favors on the bowl by the front desk ;-). Stephano: we'd love to know where those tiny candies (picture included) come from. We loved the Jasmine fragrance found all over the veranda...and around the city too. Large classic louvred windows offered a generous passage of cool evening breeze. Very spacious and clean accommodation. The key fob was heavy but unique enough for us to ignore its weight. The ambiance is truly classic and worth revisiting. We stayed at the hotel in order to visit the sites of Rome and found it a very convenient location. The hotel was clean and well maintained. Our room was surprisingly large. The included breakfast featured a good quality cold buffet. The hotel was only 5 minutes walk from the metro, but we found it just as easy to get to the main tourist locations on foot most places were within 30 minutes walk.